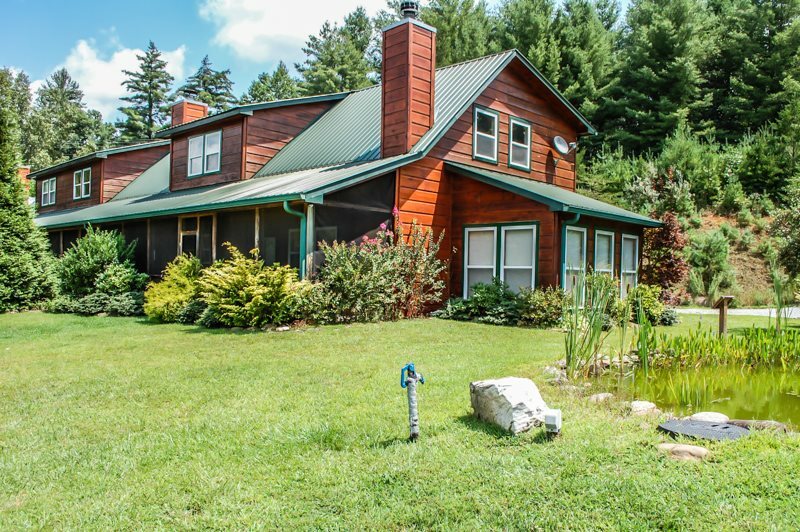 Located in the North Georgia Mountains along the beautiful trout filled Toccoa River, Fisherman’s Paradise is the perfect getaway for anglers and outdoor lovers. This gorgeous cabin, nestled in the Chattahoochee National Forest, is just steps away from the river, hiking trails, and waterfalls. Pets are welcome, and popular Georgia attractions are only a short drive from Fisherman’s Paradise. 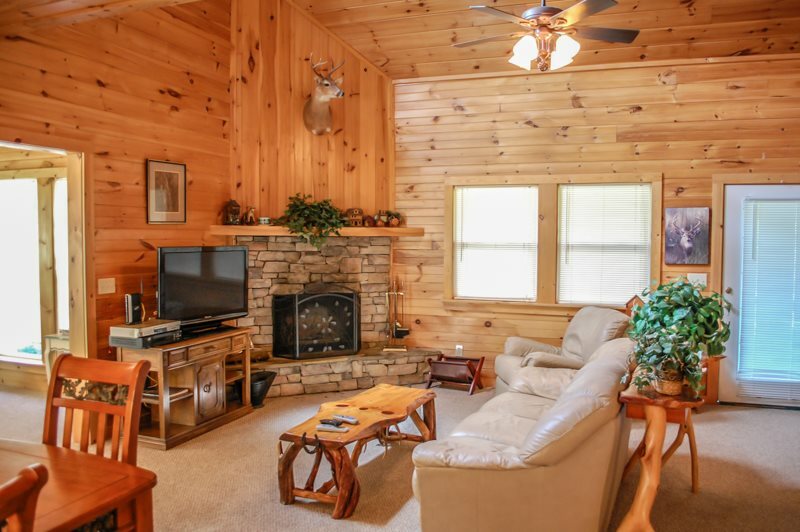 This luxurious cabin sleeps 6 people and features hardwood floors, upscale furnishings, and fantastic views. The cabin has 2 bedrooms, a futon in the loft, dining room, sun room, living room, 2.5 bathrooms, and a fully equipped kitchen. A wood burning fireplace keeps you warm on chilly nights, and the Satellite TV and WiFi are perfect for evenings or rainy days. After a day of fishing or hiking, relax in the hot tub located on the screened in porch and watch for wildlife. 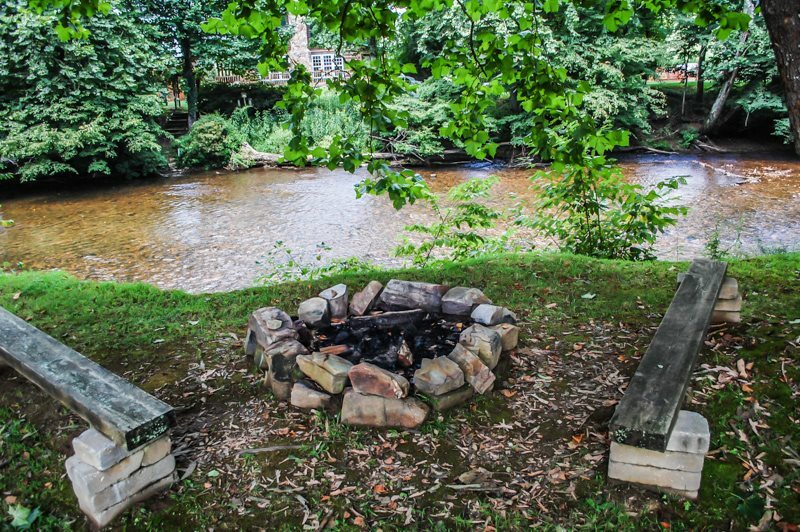 Later, venture down to the firepit by the river and roast some marshmallows. Fisherman’s Paradise is separated into three private condo rentals. Socialize with neighbors or enjoy a secluded mountain getaway. Fisherman’s Paradise boasts 1,000 feet of shoreline on the Toccoa River which offers some of the best trout fishing in the state. Hunting is popular at this destination (deer and turkey). The Rock Creek and Coopers Creek Wildlife Management Areas are just 10 minutes from the cabin. These areas are perfect for fishing, hiking, and discovering waterfalls. Morganton Point Recreation Area, located on Lake Blue Ridge, is a local hotspot ideal for boating, picnicking, and exploring. There are a number of spots nearby to put in your canoe, tube, or raft on the Toccoa River for some water fun, or head into town for a bite to eat and some shopping. The towns of Blue Ridge, Blairsville, and Dahlonega are all within 25 miles of Fisherman’s Paradise. 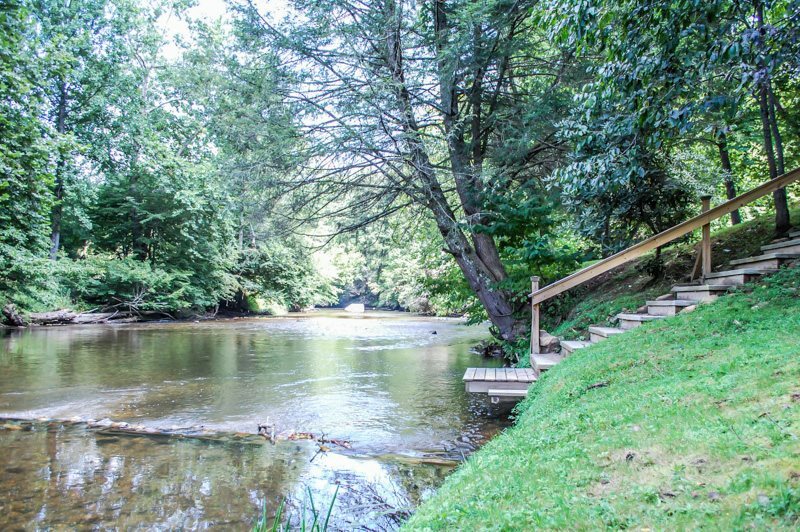 If you’re planning a camping getaway to the North Georgia Mountains, don’t miss out on the fabulous Fisherman’s Paradise! Perfect for anglers and outdoor lovers, the cabin is located near great recreation and offers a beautiful retreat from the hustle and bustle of everyday life. Book your stay today on Camp Native!